Front penthouse completely renovated on the seafront. The living room leads into a large covered terrace with sofas and outdoor furniture. 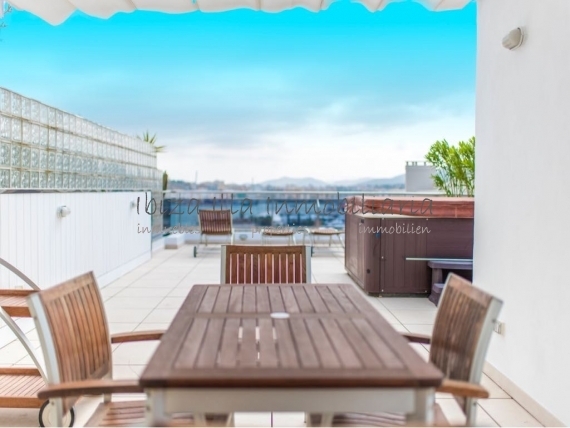 It also has a spectacular roof terrace with jacuzzi and entertaining areas equipped with table, chairs, sun loungers and everything you need to relax and enjoy the sun in a wonderful setting with incredible views of Dalt Vila, the Marina and Marina Botafoch nautical port.